Open Windows 10 Mail on your computer. Right click the mailbox you want enable SSL on and select Account Settings. The account settings window will now appear, click Change mailbox sync settings. 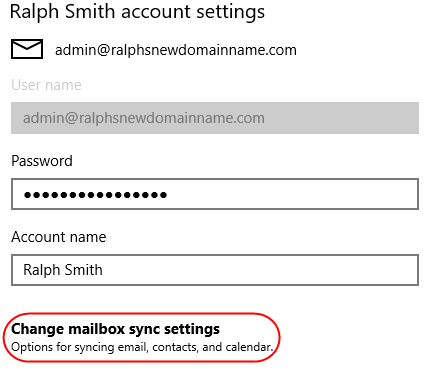 Scroll to the bottom of the Sync Settings window and click Advanced Mailbox settings. Require SSL for incoming email: Tick this box. 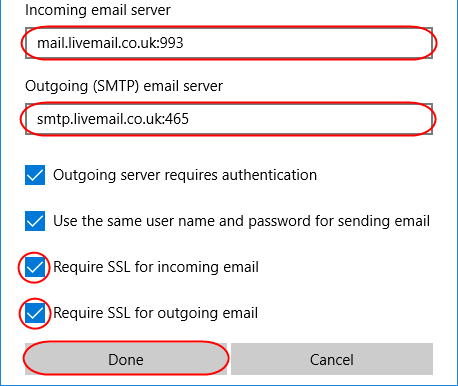 Require SSL for outgoing email: Tick this box. Click Done, then Save. 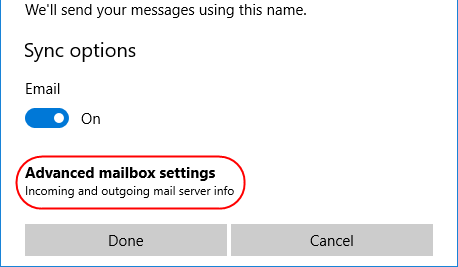 Your mailbox is now set up using SSL in Windows 10 Mail.